REGINA, SK – As homeowners and contractors prepare to begin renovation projects in the new year, WorkSafe Saskatchewan is continuing to educate the public on the risks of asbestos exposure in residential and commercial properties. Asbestos-related diseases are the leading cause of workplace deaths in Saskatchewan, causing 25 per cent of all workplace-related deaths over the last 10 years. Occupational disease-related fatalities are often diagnosed years after a workplace exposure and account for 44 per cent of this year’s workplace fatalities as of Oct. 31, 2018. Despite increased awareness of the hazards presented by asbestos exposure, it is expected that some workers in the province will be exposed, putting them at risk of disease or death decades into the future. Today, WorkSafe launched an asbestos awareness video at worksafesask.ca/asbestos featuring testimonials from two Saskatchewan residents impacted by asbestos exposure. WorkSafe also sent posters and till danglers on asbestos awareness for display in the aisles of 119 home improvement stores. This includes 33 home improvement stores in Regina, Saskatoon, Moose Jaw and Prince Albert, as well as provincially to 53 Co-op stores and 33 Home Hardware stores. During the year, WorkSafe Saskatchewan, in partnership with the Saskatchewan Construction Safety Association, hosted several interactive asbestos information booths at two spring home shows and Home Depots in Regina and Saskatoon. These events helped homeowners and tradespeople identify where asbestos may be present in their homes and workplaces, as well as use WorkSafe’s new asbestos app. Most homes and buildings in Saskatchewan were built before 1990, which means they likely contain asbestos. 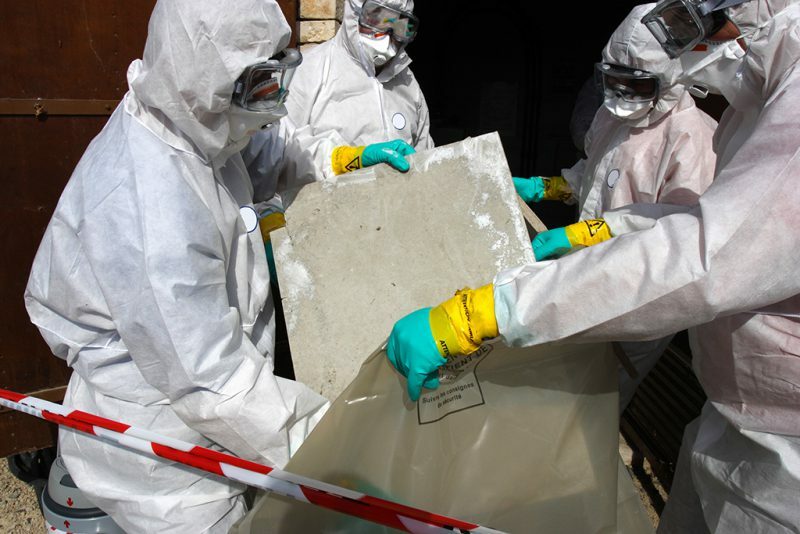 A professional abatement team should always be hired to remove asbestos from a home or workplace before starting renovations. Homeowners and tradespeople should never put themselves at risk and remove asbestos themselves. More information, tools and resources about asbestos awareness and prevention, as well as WorkSafe’s asbestos app, are available at worksafesask.ca/asbestos.